Moving - Storage Pune (Maharashtra) November 14, 2018 411044.00 Rs. RVC packers and movers, a division of RVC Supply Chain specializes in packaging and moving of household goods, cars, and office goods. 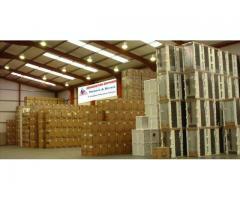 We have our office for movers and packers service in all major cities. Moving - Storage Pune (Maharashtra) November 4, 2016 100.00 Rs.